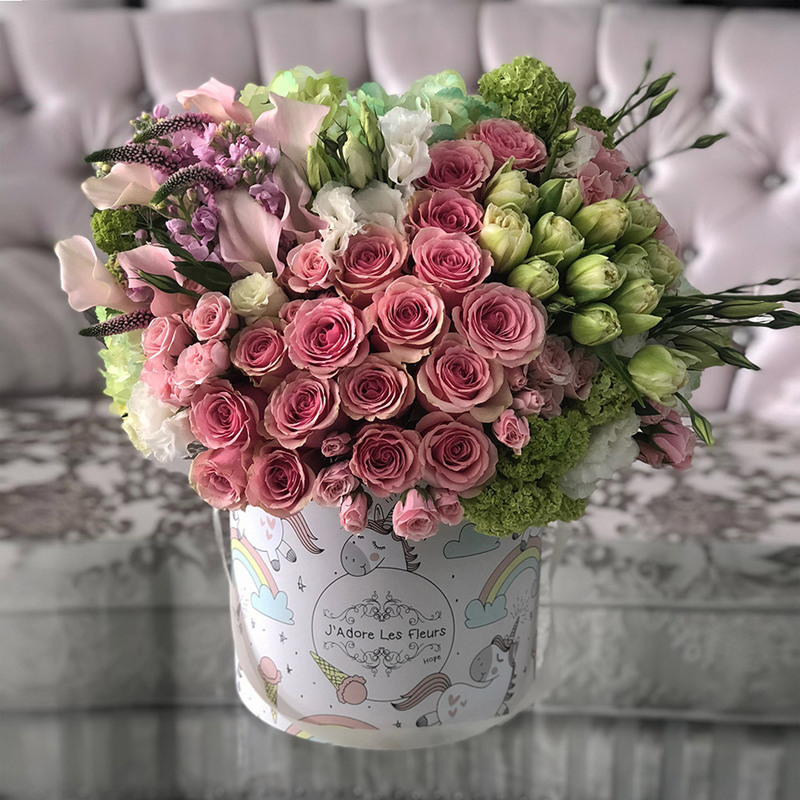 This beautiful arrangement is part of JLF Hope Collection limited edition boxes, that launched with a purpose to raise awareness for children's healthcare. With each box sold, JLF is donating $20 to Children's Hospital Los Angeles. The arrangement in the photo is made with Geraldine roses,lisianthus, tulips, viburnum, calla lilies, Veronica flower and hydrangeas in our medium size box.